During my 30 years living in Charleston, South Carolina (ranked the #1 travel destination in the world! 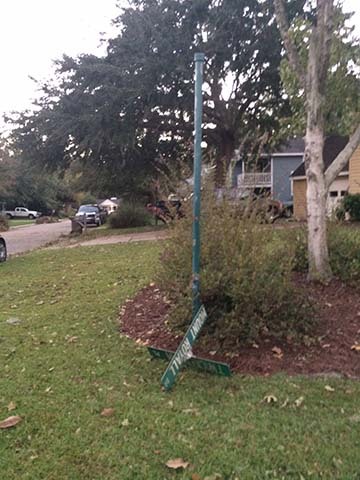 ), I evacuated for a hurricane that made landfall 20 miles up the coast from my house twice. Though both occurrences were nerve-wracking, the second hurricane was much different from — and easier than — the first. Hurricane Hugo in September 1989 — was a powerful category 4 storm, and the second — Hurricane Matthew in October 2016 — was a (still powerful) category 1 after it wreaked havoc along the southeastern coast of the U.S. before finally coming ashore here. Following the weather reports and anticipating a possible hurricane is unsettling. There’s always the uncertainly about whether it will hit nearby or go somewhere else — and the “should we stay or should we go” question looms large. Finding a place to stay when you evacuate can be tricky. 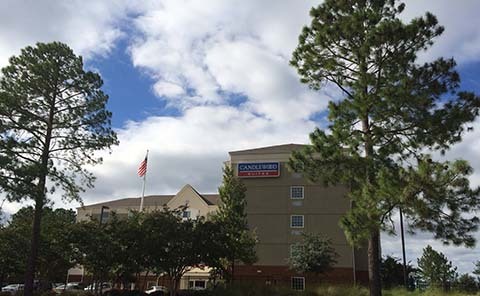 I found out (again, the hard way – in a previous evacuation that didn’t result in hurricane landfall) how important it is to call ahead and reserve a motel room for the longest possible period — because you can always cancel it, but if you don’t book enough nights, you’re in big trouble. During Hurricane Matthew, the newspapers reported that every hotel in the state of South Carolina was filled to capacity! People at the location you evacuate to are also worried about the same hurricane! 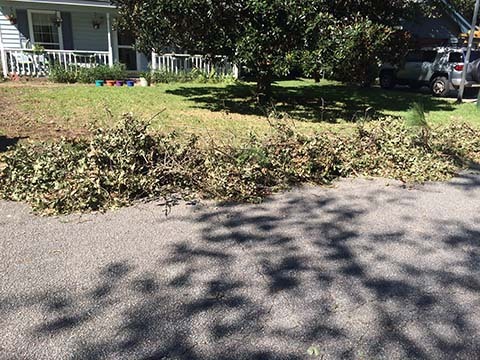 Both times, I went 100 miles inland to Columbia, S.C., but saw residents there all buying basic supplies and batteries for power outages because the storm was projected to affect that area as well as the coast. In fact, all the bottled water and all the bread at the Walmart near my hotel were completely sold out — and the shelves were bare! It can be costly to evacuate to a hotel. My five night Candlewood Suites stay cost $739. Yikes. But who can put a price on your life? It’s nerve-wracking — and pretty boring — to go to a new place and put your life on hold for a week or so while waiting to see what happens with the hurricane. Usually I evacuate to the same hotel where friends are staying. This time my friend made the reservation for me (while I was at work, because things took a turn for the worse pretty quickly — which I really appreciated) when she made the ones for her family, but she and her husband changed their mind and decided to go somewhere else at the last minute and told me “Sorry, you’re on your own!” They then changed their mind again and ended up staying in the hotel room next to me for the last two nights. It’s a real comfort to have a friend nearby in an emergency situation. It was scary heading to an unknown hotel in another town — in the dark and traffic — completely alone, but this time technology made it easy to stay in touch. Exchanged text messages with just about everyone I know during the whole event. And everyone had stories to tell! Turned out that one of my other friends was staying with her daughter-in-law and jumbo dog at her father’s house about 4 miles from my hotel. My parents live in a coastal town that was predicted to take a direct hit from Hurricane Matthew when it was a category 4, and they didn’t evacuate, so I was really worried about them — and stayed glued to the Weather Channel after their electricity — and phone — went out. They made it through like troopers, although their power was out for three days and their area had a lot of damage even though the hurricane stayed offshore. During the Hurricane Hugo evacuation, I had an 18-month old and my ex-husband and his parents and sister (who had – ironically – all been visiting us at the time) with us — and our guests swore they’d never come back again. The baby kept me busy, but this time I was totally unable to focus on reading or doing anything except watch the Weather Channel for days. Apparently once you’ve been through a category 4 hurricane and lost everything you’re sort of traumatized for life. I did spend some quality time at the discount stores around the hotel and at McDonald’s next door drinking endless Diet Cokes and texting friends. 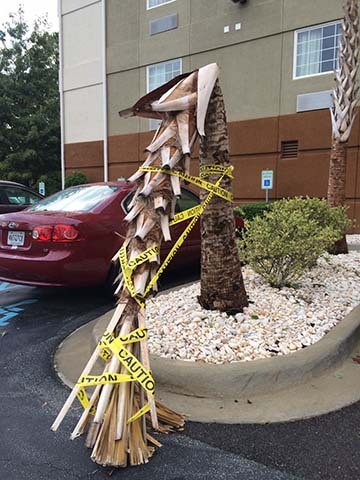 Coastal South Carolina was told to evacuate days before Hurricane Matthew hit, which resulted in a hefty hotel bill to stay for five nights. But again…who can put a price on your life? The drive home (at 6 a.m.) only took 1 1/2 hours! Facebook has an automatic status feature that lets you sign on to tell friends you’re safe — and you can see that they’re safe. That’s comforting. 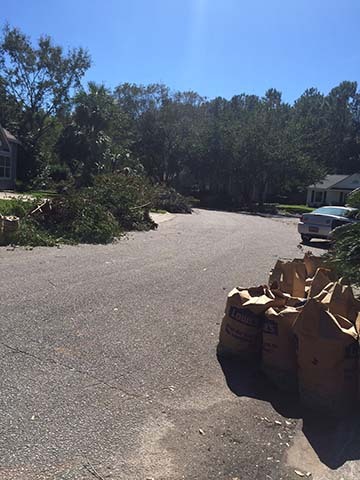 The public works and utilities people did a fabulous job restoring power to houses and businesses in the area (most of which suffered extended outages); cable TV/Internet repairs didn’t take nearly as long as expected. My wonderful new next-door-neighbor used a lawn blower to clear debris from my front yard and used his riding lawn mower to mow the front yard of my house and all the neighbors’ houses surrounding us! That was as welcome as the sunshine after the storm. 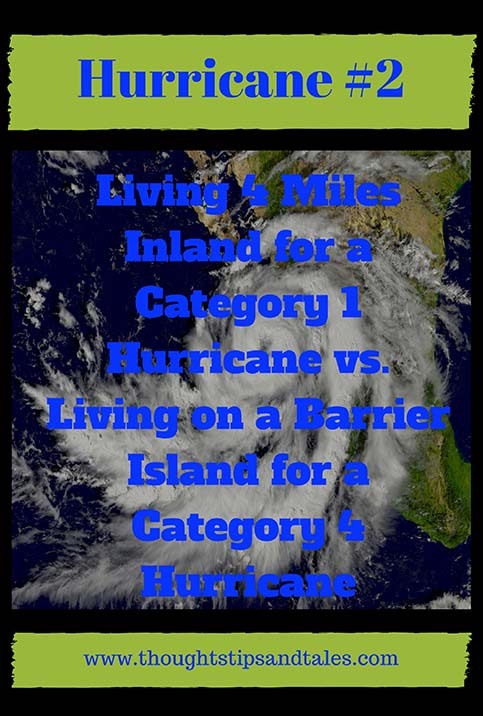 This entry was posted in hurricane, hurricane hugo, hurricane matthew, life, miscellaneous and tagged category 1 hurricane vs. category 4 hurricane, hurricane anxiety, hurricane evacuation, hurricane hugo, hurricane matthew, hurricane matthew vs. hurricane hugo, hurricanes. Bookmark the permalink. That is great you were able to stay in contact with everyone and that everything is good. Thank goodness for cell phones in emergencies. You’re right! So glad I finally bought a smartphone. It was worth it on that one trip alone! I started a personal blog to share my thoughts and bring a lift to other people. Reading a "lifestyle" blog can be like enjoying a letter from a friend or indulging in a good conversation. It connects you with another human being who has the same types of joys, doubts, thoughts, questions and problems as you do. I hope that reading my blog will brighten your day!